The photos used for the headers of this website were taken from entries to the Europhotometeo’14 and Europhotometeo’12. Authors keep the intellectual property rights, but have given EMS the rights to use the photos for non-commercial purposes. 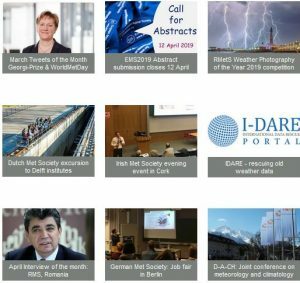 The appearance of external links on this Internet site does not constitute endorsement by the European Meteorological Society of external web sites or the information, products or services contained therein. For other than authorised activities the EMS does not exercise any editorial control over the information you may find at these locations.